Promo Codes allow you to get access to special access plans and promotions in Context. Here’s how to use them. 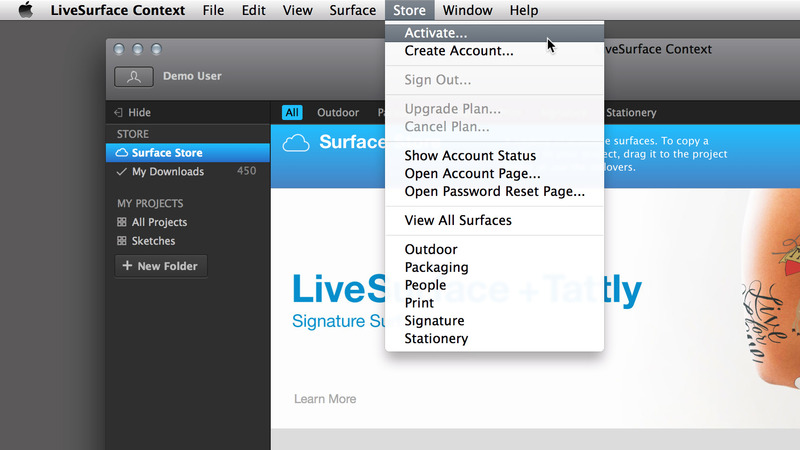 Step 1: Click Activate from the Store menu in Context. If Activate is greyed out, you may already be signed in. Either Upgrade Plan or Sign Out. 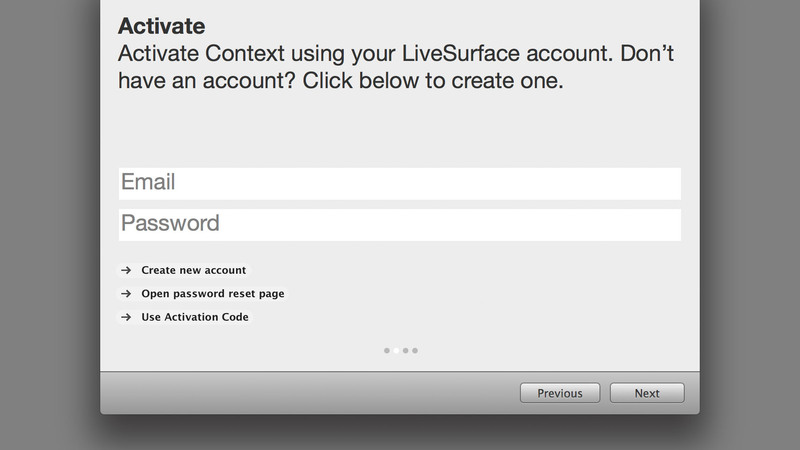 Step 2: Assuming you don’t already have an active plan, create a new account (click the Create new account button just below the form) or use your existing LiveSurface account credentials to sign in. If you do already have an active plan that you wish to change, close the Activation window and select Upgrade Plan from the Store menu. Step 3: If you’re creating a new account, you’ll need to confirm the account from the email you receive. You’ll then see the user configuation window. 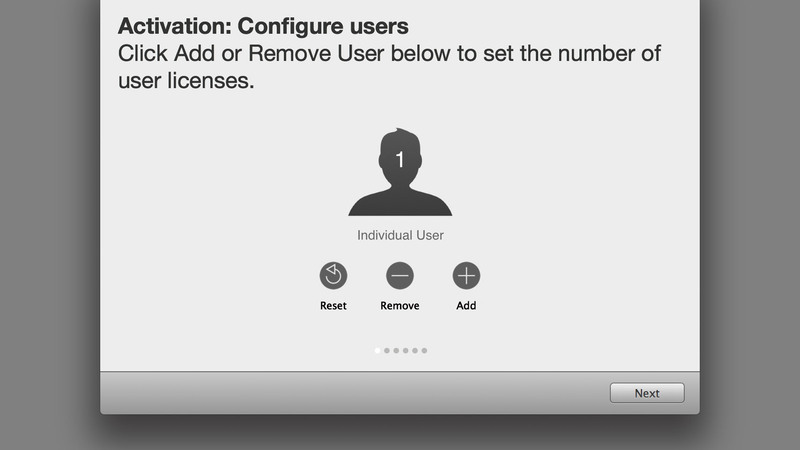 Select the appropriate number of users. If you are not setting up a Studio Group (only specific codes are Studio Groups compatible) then you should select just a single user and click Next. 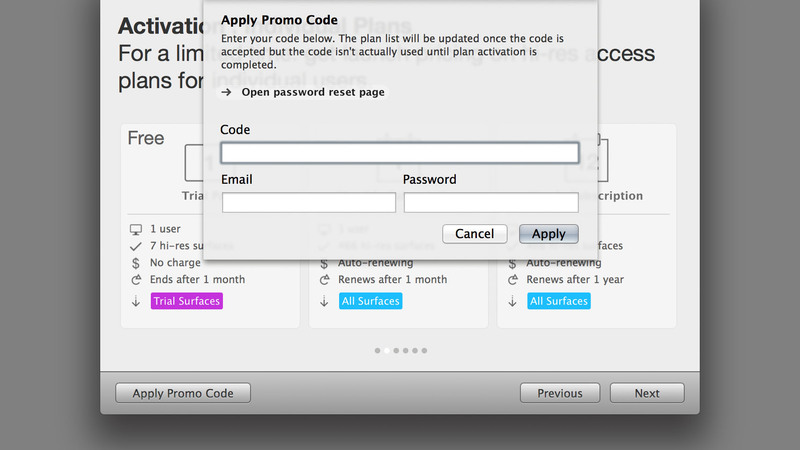 Step 4: From the Plans window, click the Apply Promo Code button the lower left. A dropdown will appear. Paste in the code and enter your username and password to confirm and click Apply. Step 5: Available plans will now be displayed. Select a plan and click Next to complete plan purchase and activation.